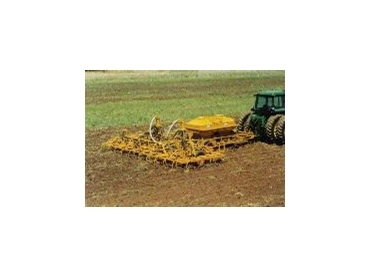 The T200 Series folding wing tilther has established itself as another reliable Gyral cultivator and is the result of our continual development in manufacturing broadacre tillage and planting equipment. The robust 6-beam design, tyne layout and clean lines under frame are all features which combine to give the tilther very good trash handling ability and excellent weed control. Our series T200 range of cultivators have 470mm (18.5") under frame clearance. Relatively narrow tyne spacing and smaller points produce an ideal tilth and leaves the soil in excellent condition. Our persistence in maintaining these specifications has been vindicated by the machines' performance in the field.